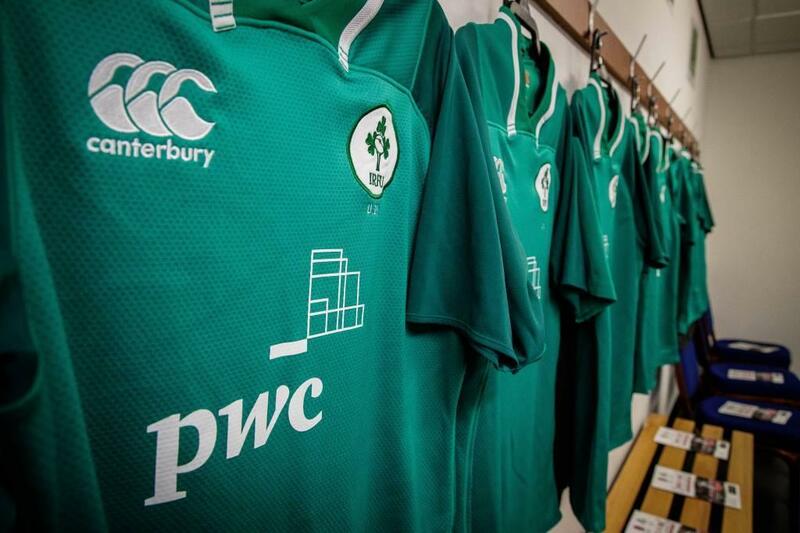 A fantastic performance from Jack Crowley for the Ireland U19s in a last gasp comeback victory over France. 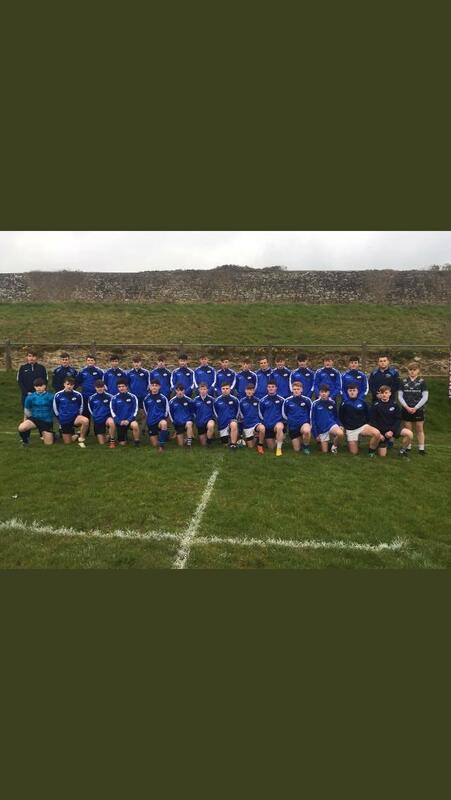 Congrats to Bandon RFC who were crowned U16 All-Ireland Champions yesterday after defeating Gorey RFC in the final 27-16. BGS students Shane Hathaway, Jay C Westhuizen, Jeff Williams, Mark Collins and Daniel McGarvey all featured. Part of the coaching team was made up of our own Trevor Collins and Santiago Quaranta. 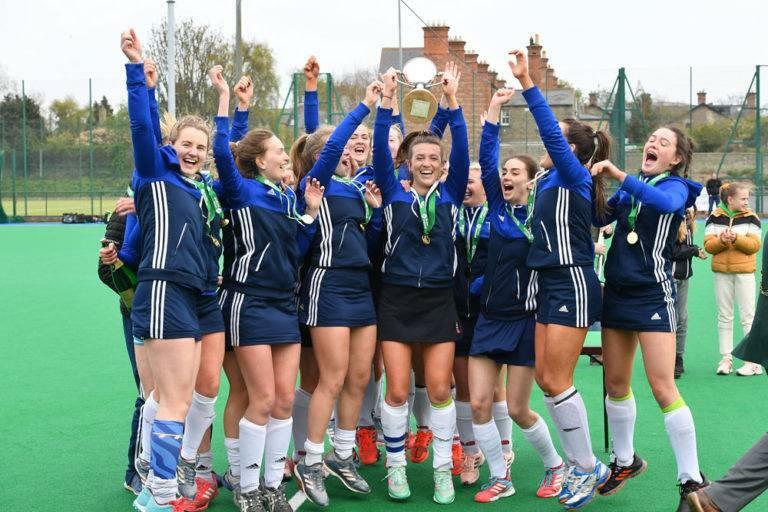 Rebecca Kingston part of Cork C of I Irish Hockey Trophy winning side. 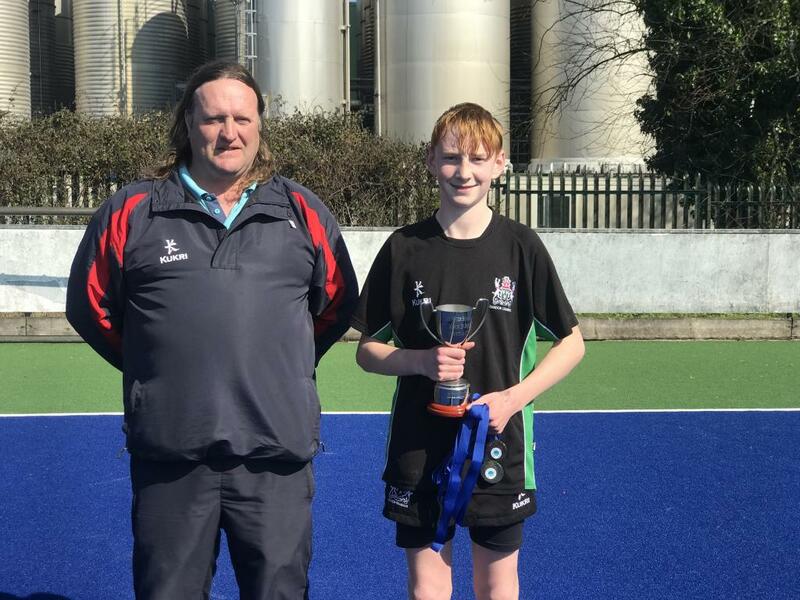 Well done to Rebecca Kingston who was part of the Cork Church of Ireland team who claimed the Irish Hockey Trophy yesterday. 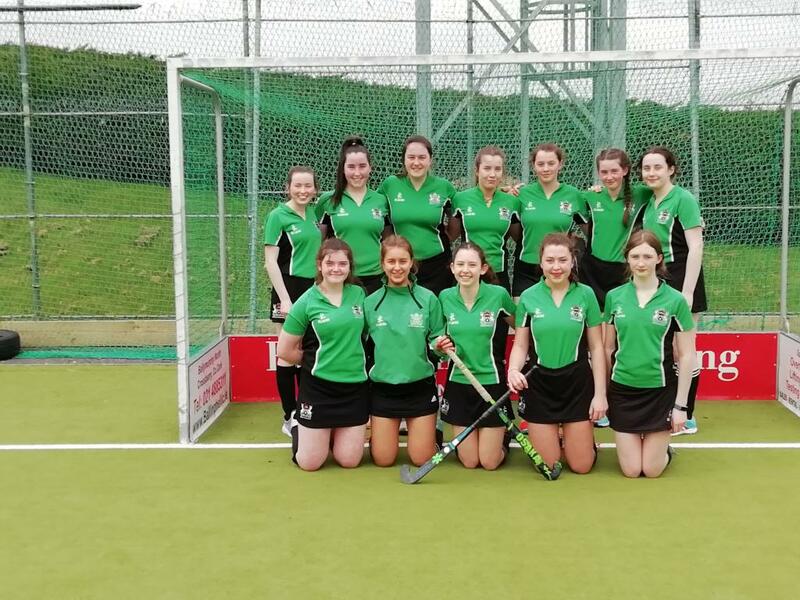 Hard luck to the girls junior B team who lost out to Coláiste na Toirbhirte, Bandon in their league final yesterday in BGS. 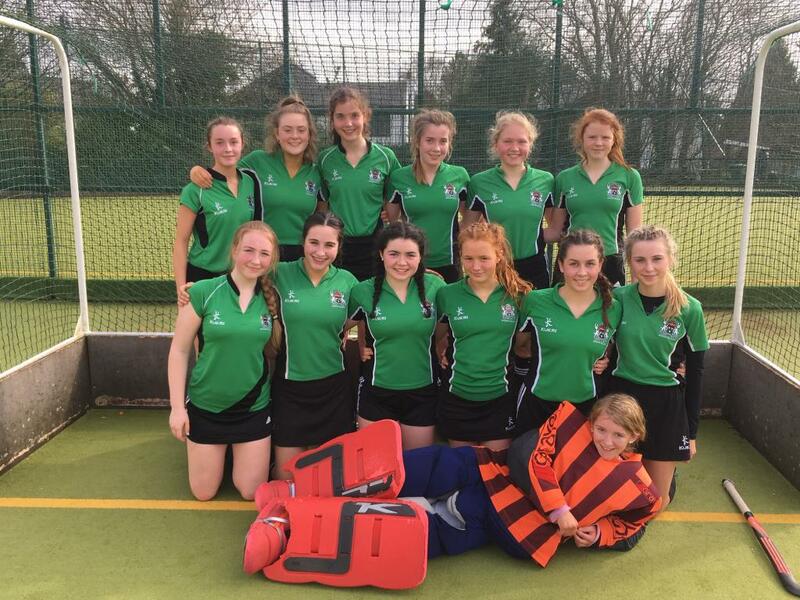 Although the final score might not reflect it, the girls put in a fine second half performance, playing some good hockey and most importantly never gave up. 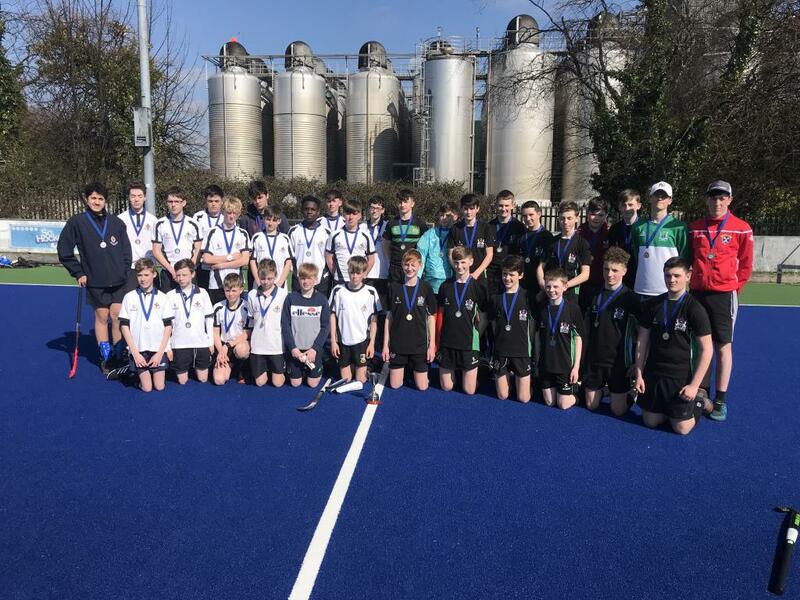 The U14 and u 15 teams played their final games today. The U14 had a narrow defeat but showed some great character and heart through out the game. 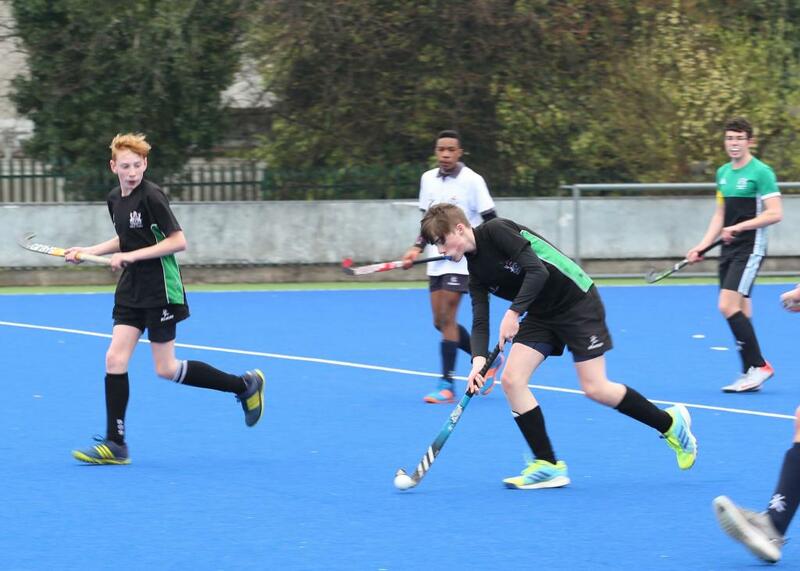 The u15 team were too strong winning by an impressive score. The lads also fitted in a trip to Cardiff Castle. The boys are all excited about returning home after building new friendships and relationships with their peers and staff members. 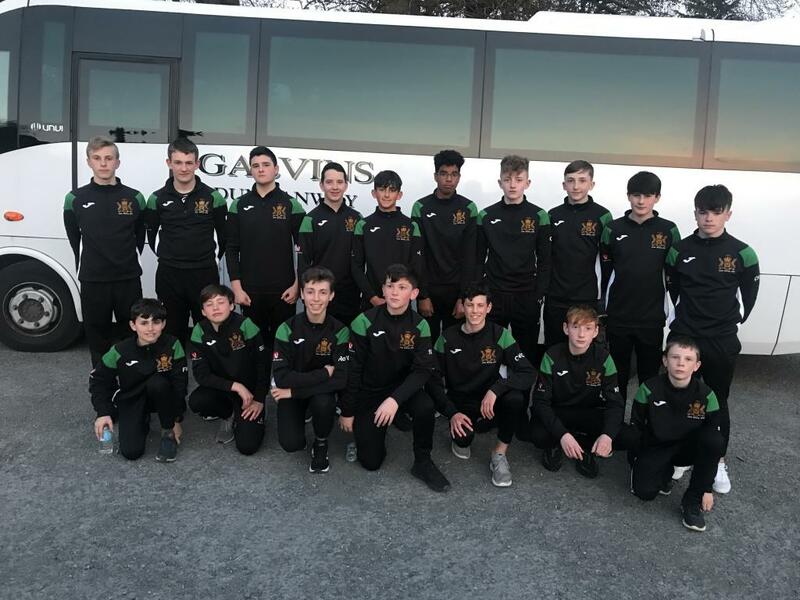 Well done to our footballers who beat St Colmans Fermoy and Carrigaline CC today to progress to the Lord Mayor's Cup Final. 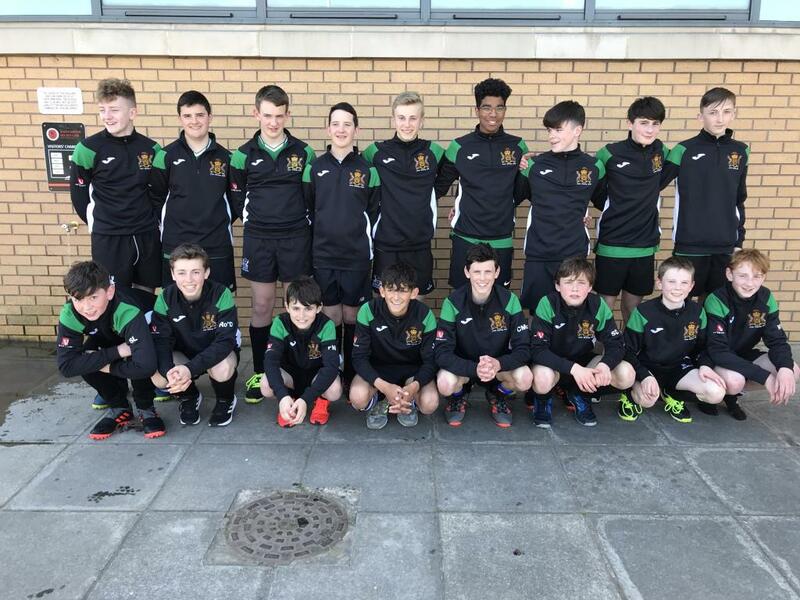 The final will take place after Easter against Scoil Mhuire Gan Smal Blarney. 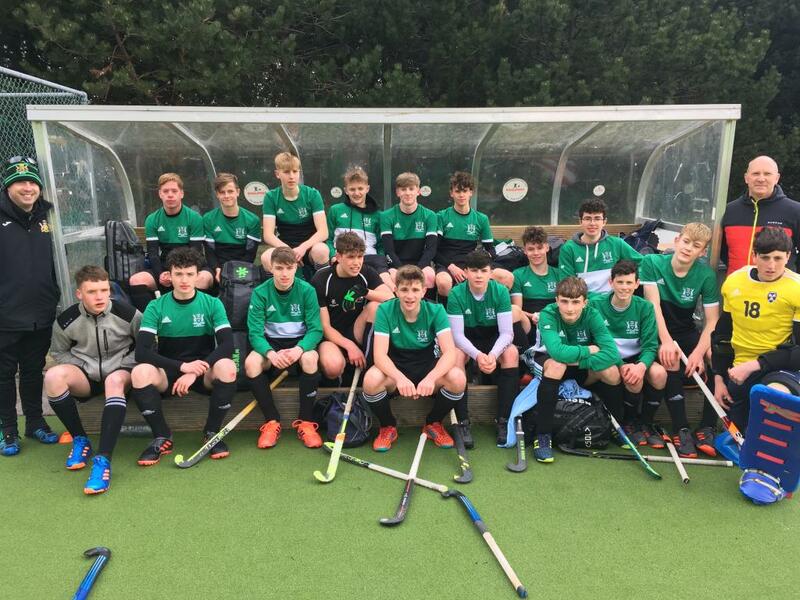 After our first game against Porthcawl, both the U14 and u15 teams came away with convincing victories. 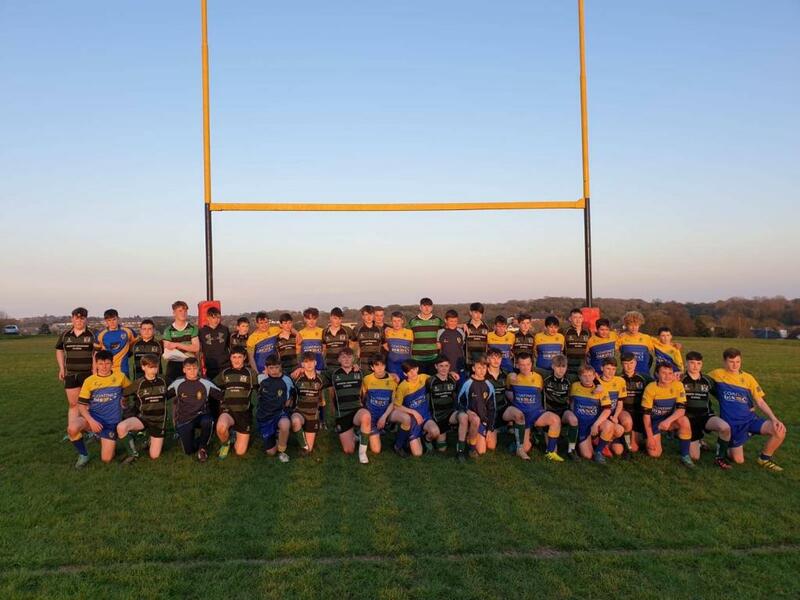 The U14 won 34-17 while the U15 won 24-7. Both teams have a quick turn around with a tough game Vs Dinas Powys Thursday evening. 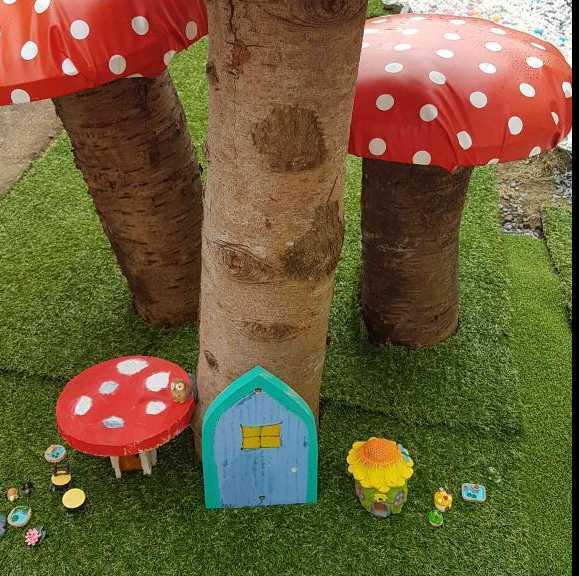 They even managed to squeeze in a game of mini golf! 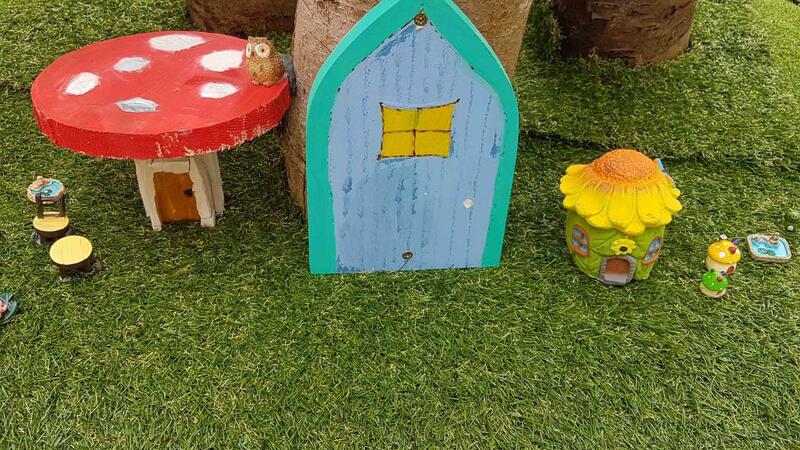 Keep a close eye for more updates and photographs. 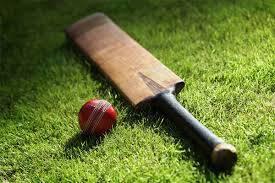 Our next Senior Schools cricket match sees us take on the Cork Combined Schools team at 1pm on Tuesday 23rd of April. The game takes place at Farmers Cross in Cork, the Cork Harlequins cricket ground. Why not come and support and see what all the fuss is about! 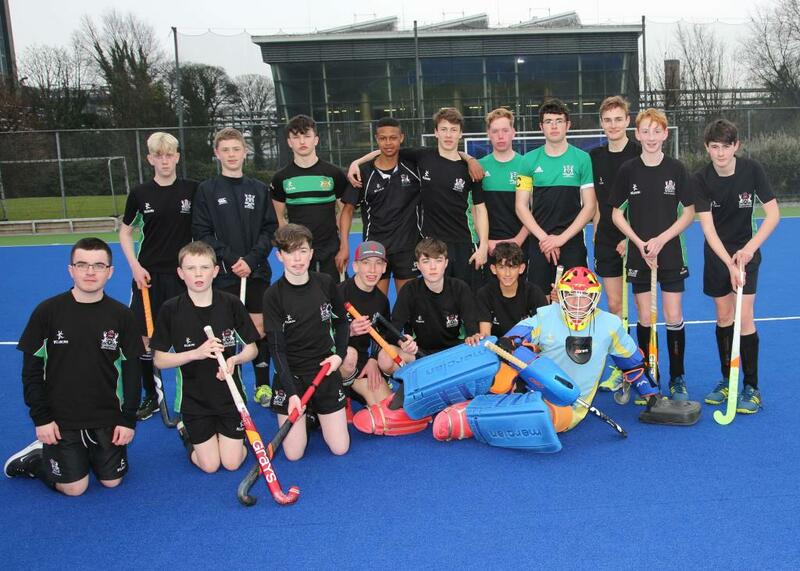 BGS Minors had a fantastic tournament. Glorious weather & superb facility’s at Friends School, Lisburn. 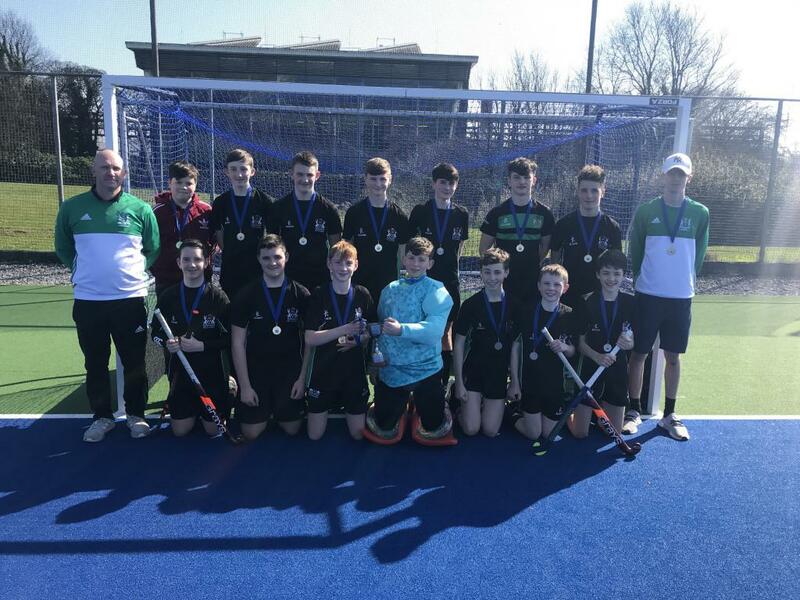 Congratulations to Banbridge who won the competition. Thank you to our sponsors SO HOCKEY, The VAT Pratice & Aquilla Distribution Limited. 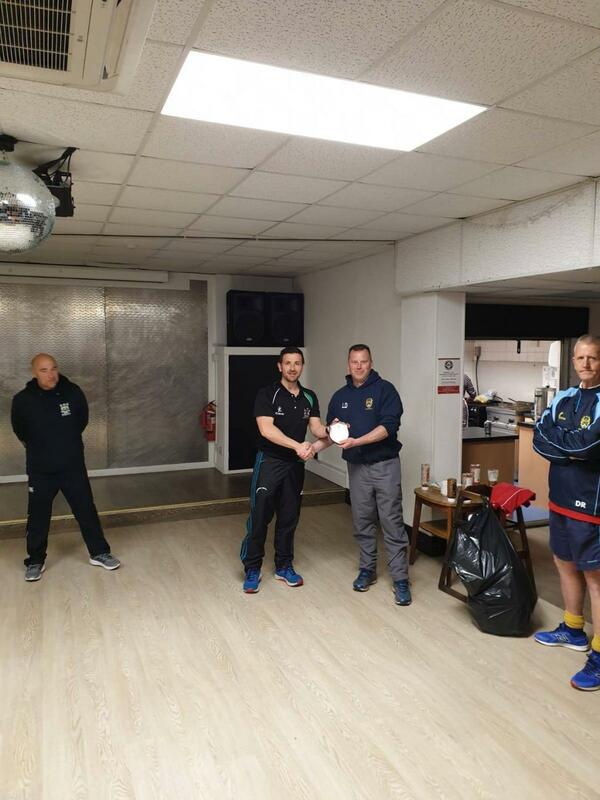 Well done to the Coaches Ross Smyth, Melvin Buttimer & Ashley Smyth. 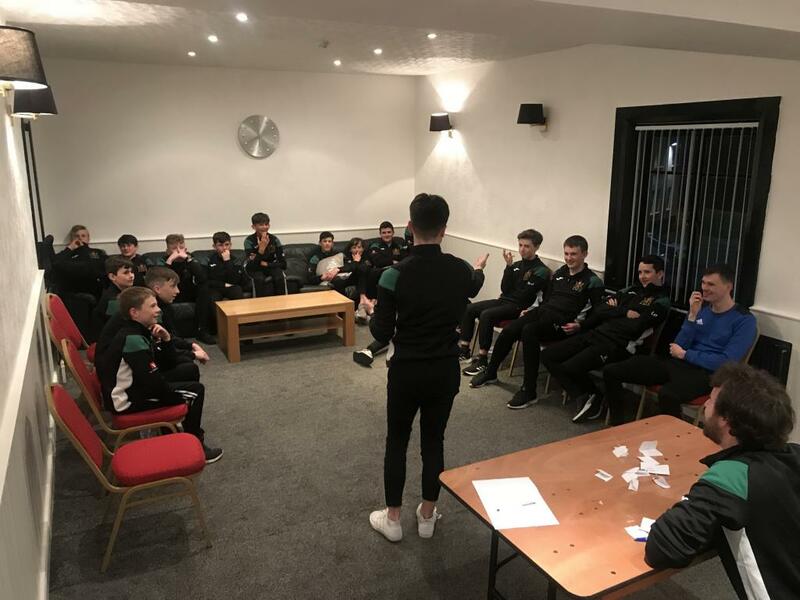 BGS Minor Boys night before the John Waring Tournament in Friends School, Lisburn. 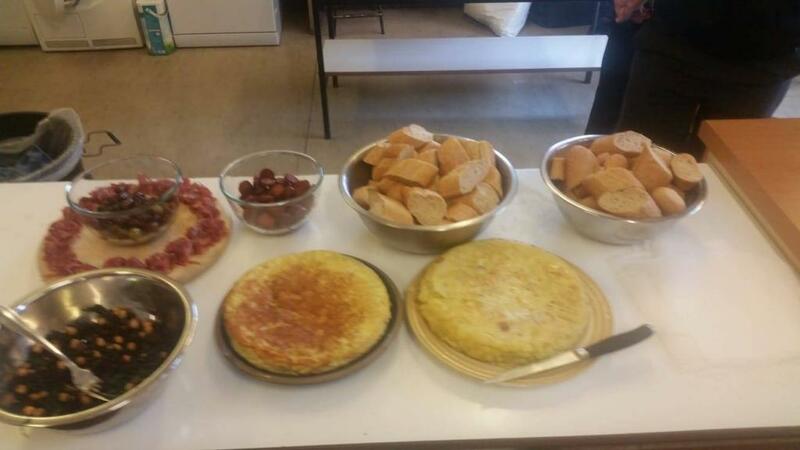 Dinner & team building session before team meeting. 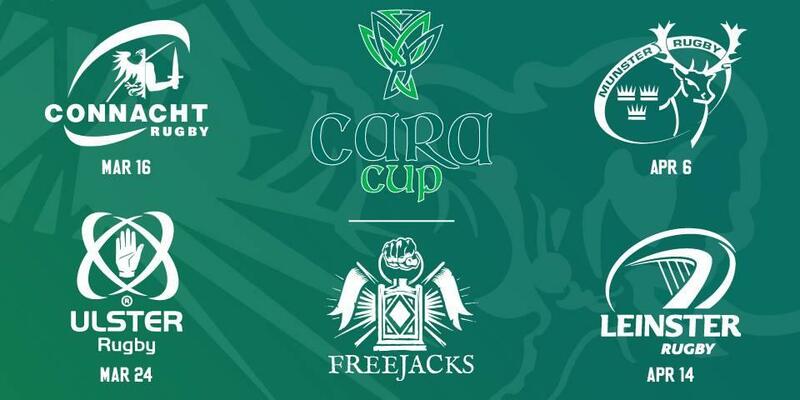 The John Waring is a tournament held for the Cup Finalists from the 3 Provinces each year...Good Luck in the matches tomorrow.. 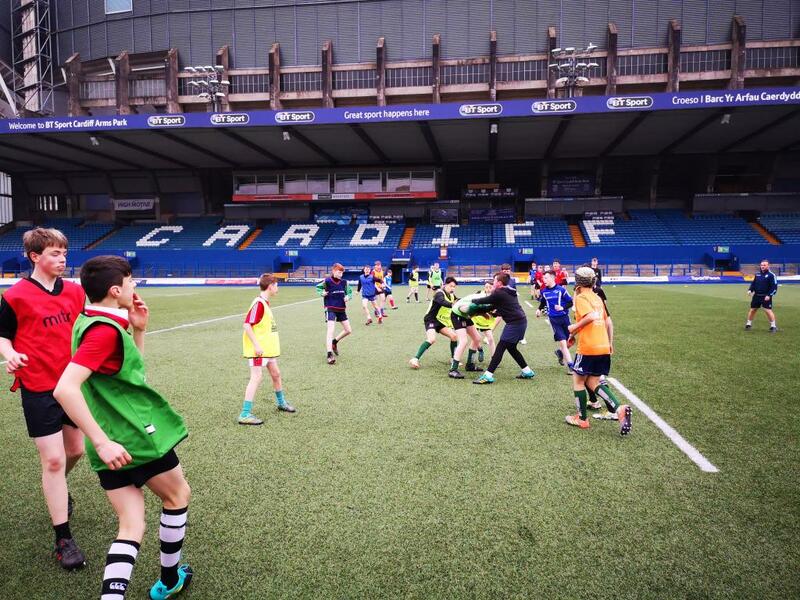 The Junior Boys Rugby trip to Wales is well under way. 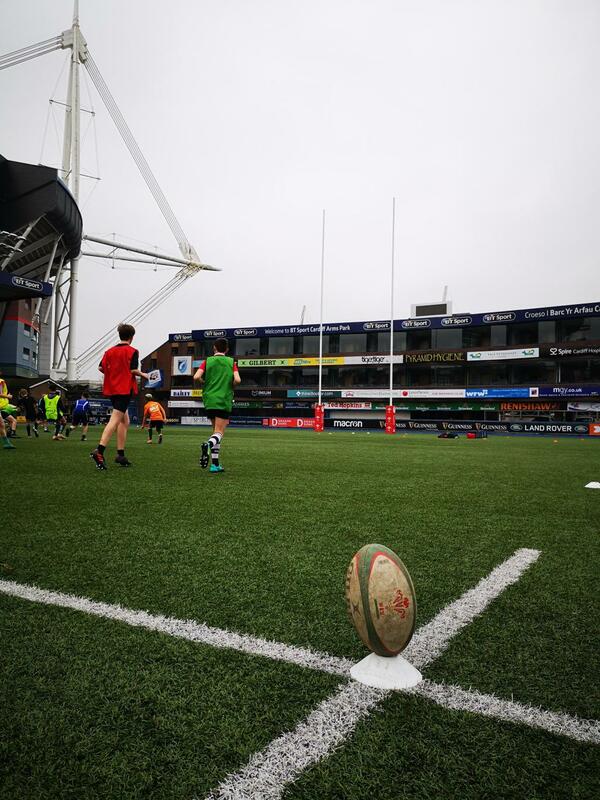 The lads had their first training session this morning at Cardiff Arms Park and then a trip to The Millennium Stadium. 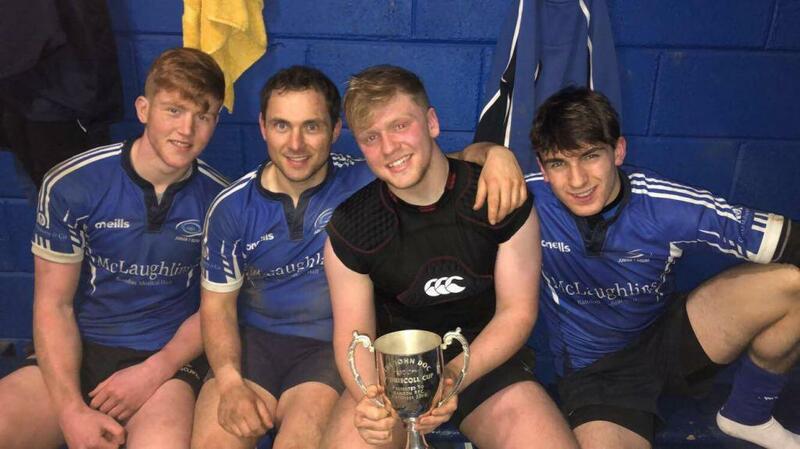 BGS Students Josh Brady, Conor Heaney and Ciaran Roberts were part of the Bandon RFC J1 team who defeated Mallow on Sunday 7th April in the County Cup Final at Irish Independent Park. Well done ok a great achievement. 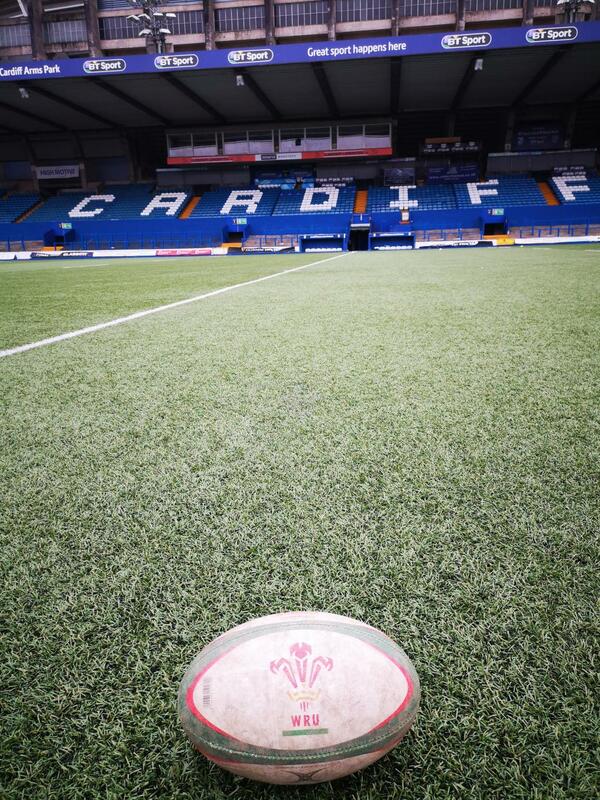 Reminder re meeting this evening in Sports Complex- 4.15-6.45pm. 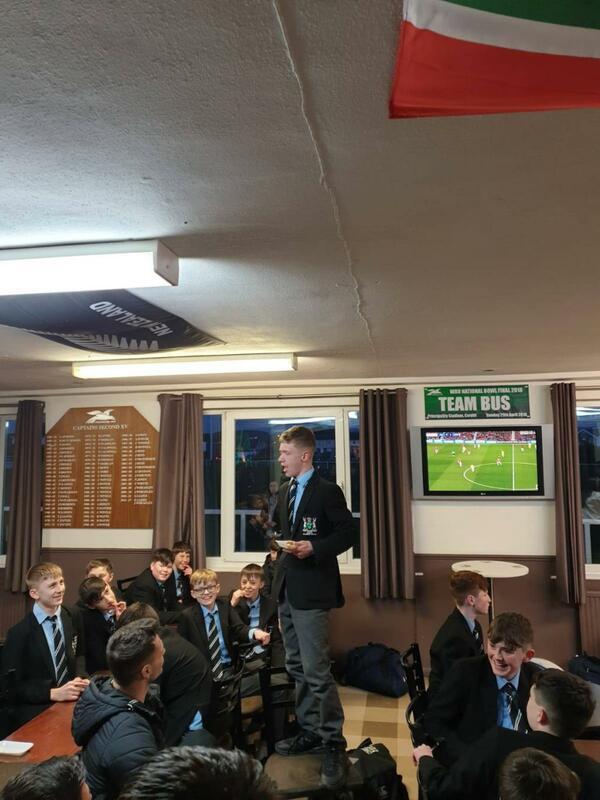 Past pupils Gavin Coombes, Luke Kingston and David Jennings have been named on the Munster A squad for the Cara Cup fixtures in Boston against the New England Free Jacks and Leinster A.
Congratulations to Moira Barrett and Justin Lucas who were were presented with youth awards at The Opinion / Bandon Co-Op Award' tonight. Moira has excelled in a variety of sports especially in camogie where she has won two All Irelands with Cork this past year. Justin is a sailor of distinction and has had an amazing year including being named sailor of the month last April. We look forward to hearing of their future endeavours. Form I Girls HPV Vaccination letters. Girls have a letter in schoolbag for you. Please ask for it tonight. 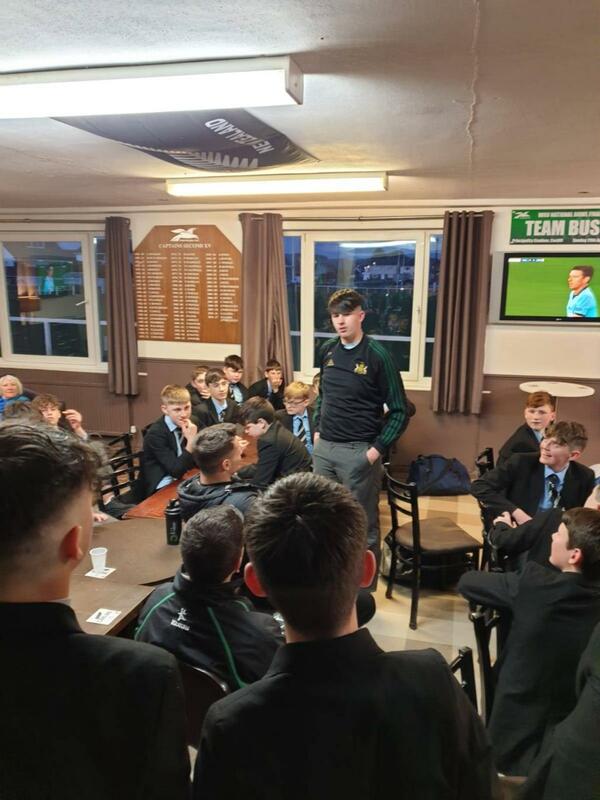 Senior A boys travelled to St Columbas College today for the second match of their Dublin trip. 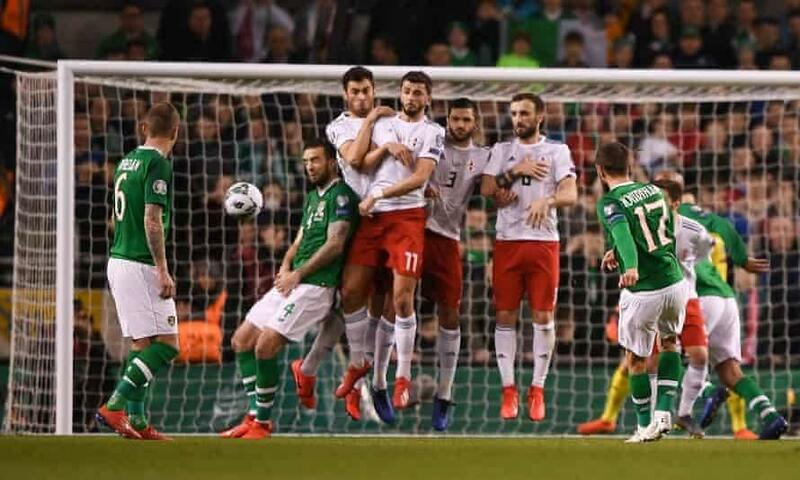 An even game which ended 1-1. Ethan Hamilton on the score sheet for Bandon with a stunning strike from the top of D.
Practice for concert on at 7 30 next Thursday evening in Clonakilty Community College. Very important that all students involved attend this practice. 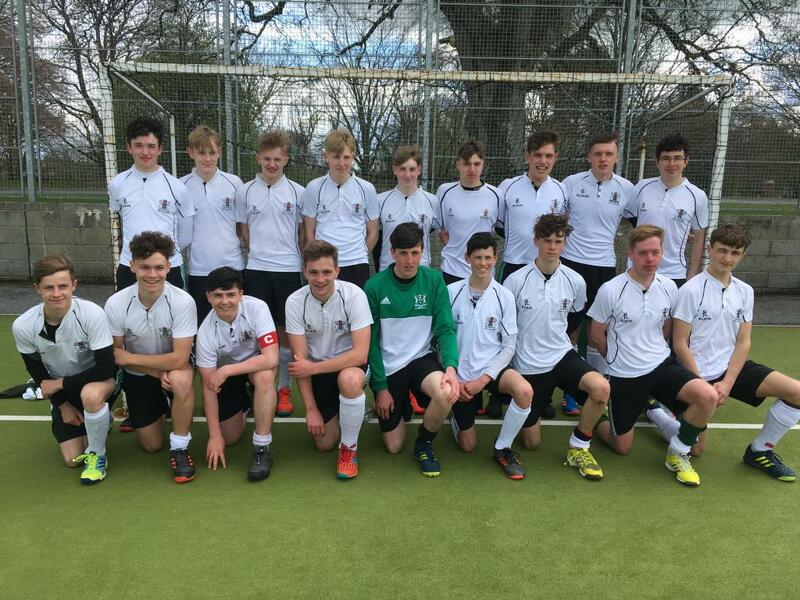 1st yr boys beat Ashton 2-1 in their cup final yesterday. 2 goals scored by captain Sam Dale. 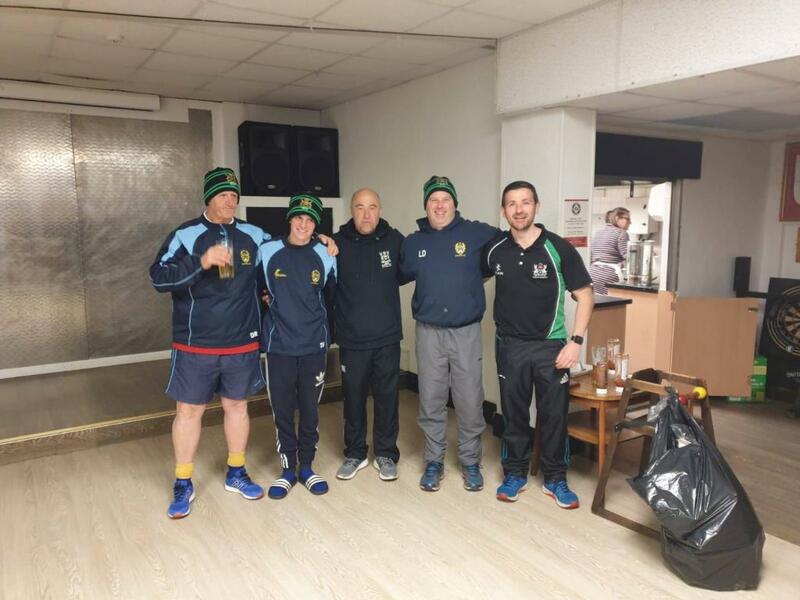 Well done to TY Coach Karl Smyth & Melvin Buttimer. 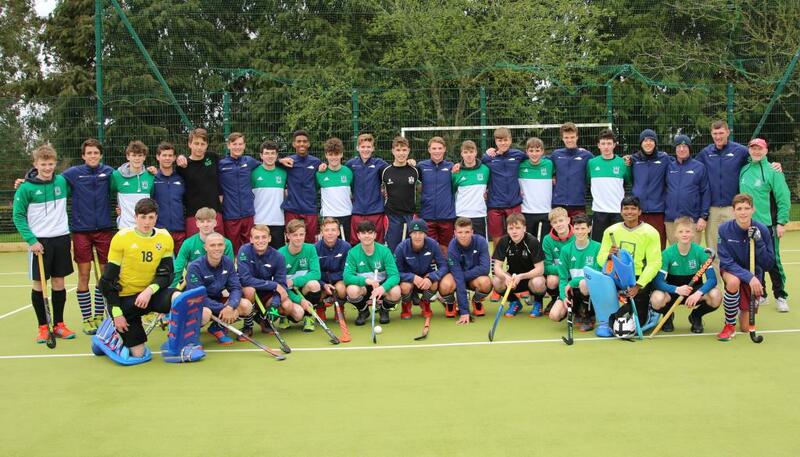 The Senior A boys had an excellent start to their pre season tour today with a 1-0 win against Kilkenny College. 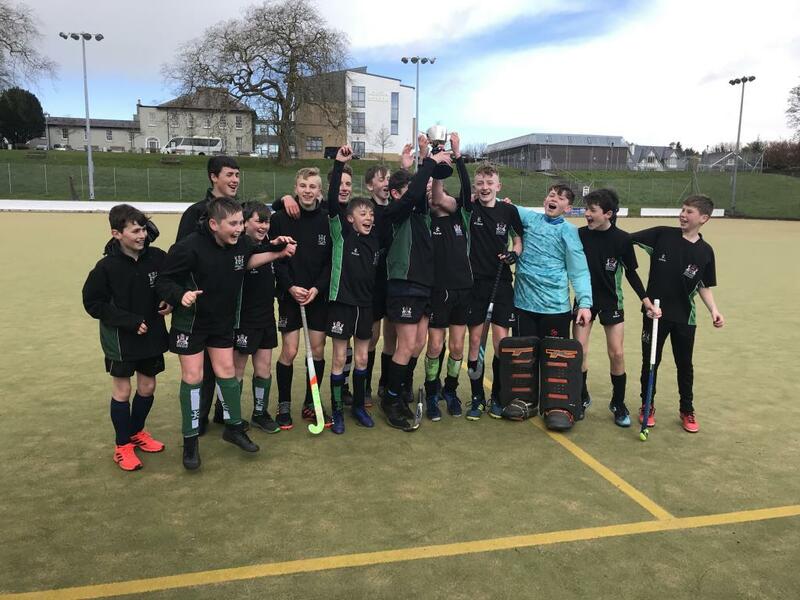 BGS played a lovely passing game, maintaining possession for most of the game but Kilkenny’s GK made some fine saves denying them any more goals. 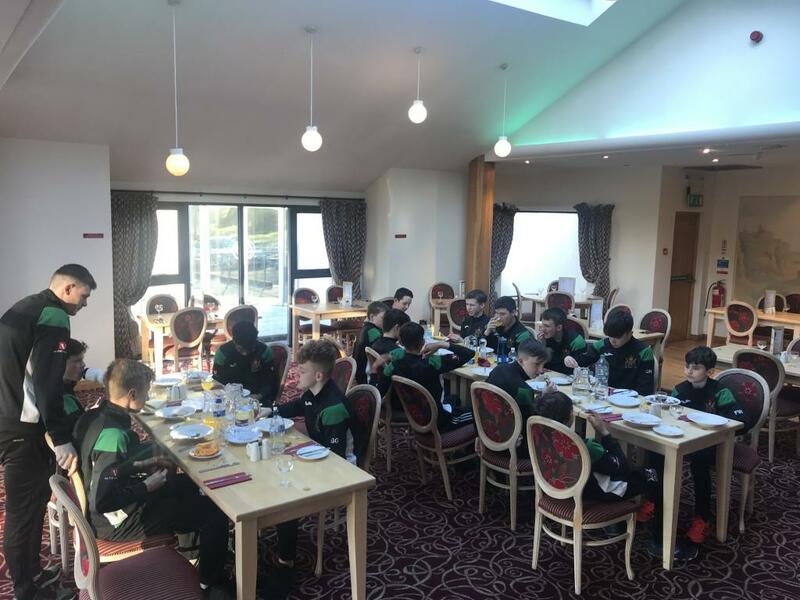 The team play St Columbas tomorrow morning in their second match at 11.30am. The Junior B girls were in league action again today, playing against Sacred Heart Clonakilty in BGS. Unfortunately, the result did not go their way with the final score ending in 0-3 defeat. 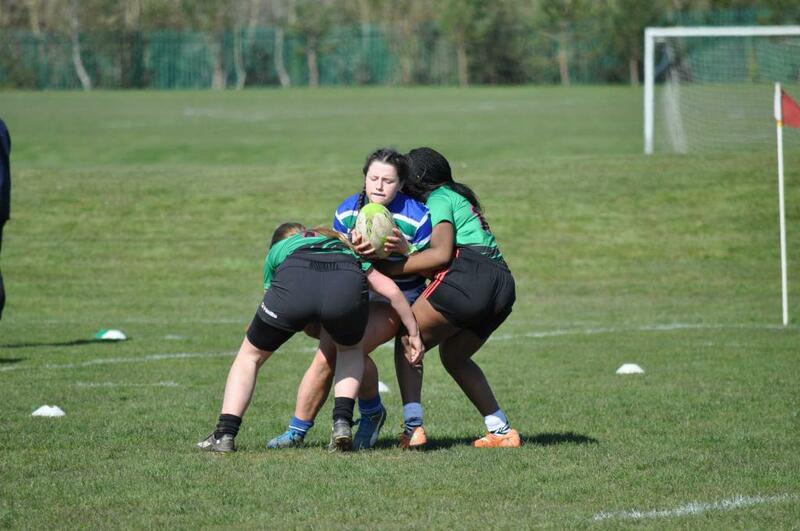 However, the girls gave it their best against what was a strong Clonakility opposition. 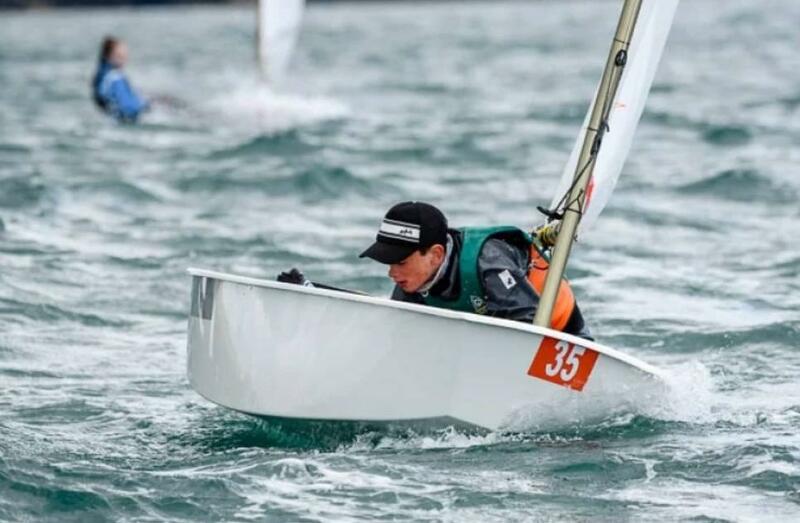 Well done to James Dwyer who has been named Junior Sailor of the month for March after his overall win at the British Spring Opens in Lymington recently. 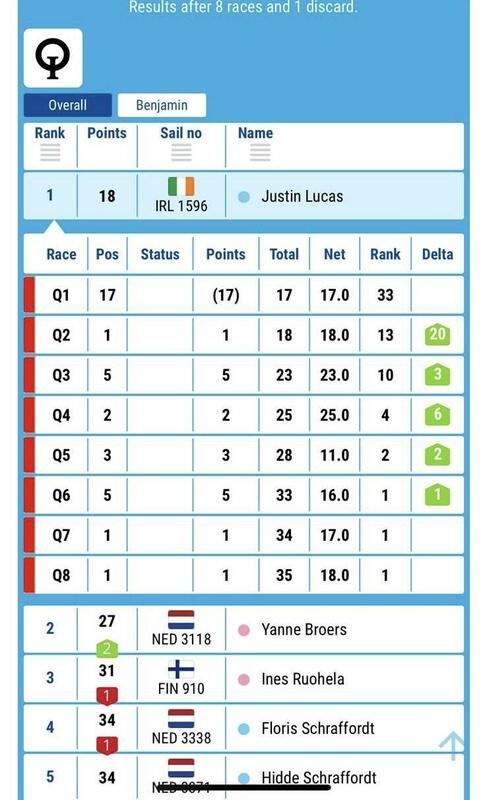 Well done to Justin Lucas won the International Optispring Regatta 2019 in the Netherlands by a nine point lead this past weekend. Justin's star continues to rise with another fantastic performance! 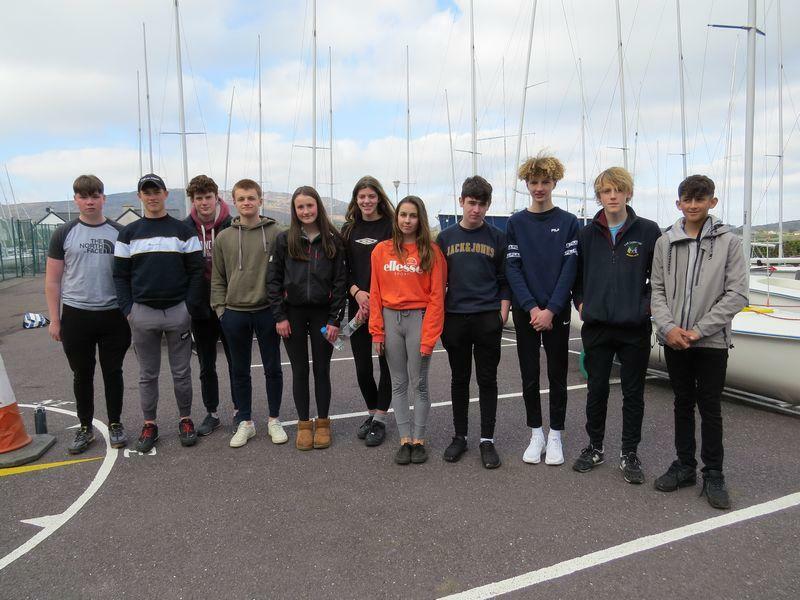 There are a lot of sailors in Bandon Grammar and we decided to gather together and enter the first ever Bandon Grammar team into the Munster Schools Team Racing Championship in Schull. Once the word was out, we managed to create 2 teams of 6 sailors - 3 helms and 3 crews. With no coach, teacher or parent to give guidance or input we concluded that two A/B teams would be fairer than deciding on an A and a B, so skills were combined to give every sailor an even opportunity to achieve their best at the event. 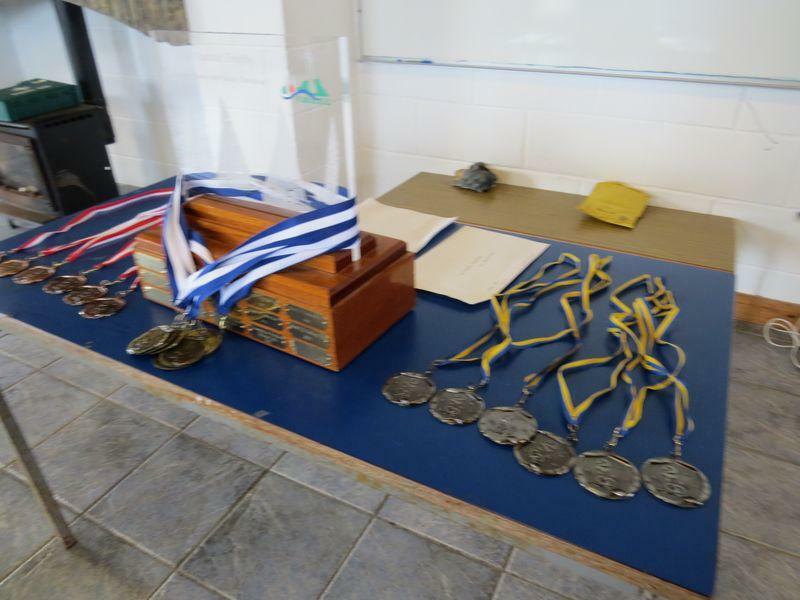 There were 7 schools competing with 13 teams and we were up against schools that had been team racing in this competition for many years and had been training in preparation. We had some talented sailors in our teams but had never competed together in Team Racing, but we had all done a lot of fleet racing. ... Fleet Racing is sailors in the same type of boat competing against each other on a course. Each boat has one goal and that is to win every race. ... Team Racing is very different, and your goal is to get the entire team over the line and in the process, there are intense tactics involved to block the other team. On Day 2 on the 28th of March the racing was postponed initially due to a lack of wind. 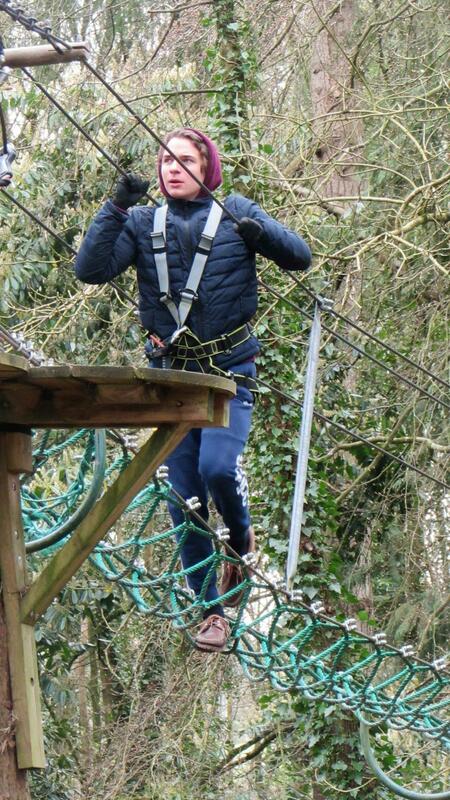 We also had the stressful task of trying to get a last-minute replacement the night before for Luke Franklin after he dislocated his wrist playing in a rugby match. The sailing commenced at 10:30 with extremely light winds this meant getting a good start was vital, as once you are behind with a poor start in light winds on a short course it is hard to get on top. Bandon pulled through a difficult day and came 5th in the Gold fleet of 8, while Bandon 2 came 2nd in the Silver fleet of 5. 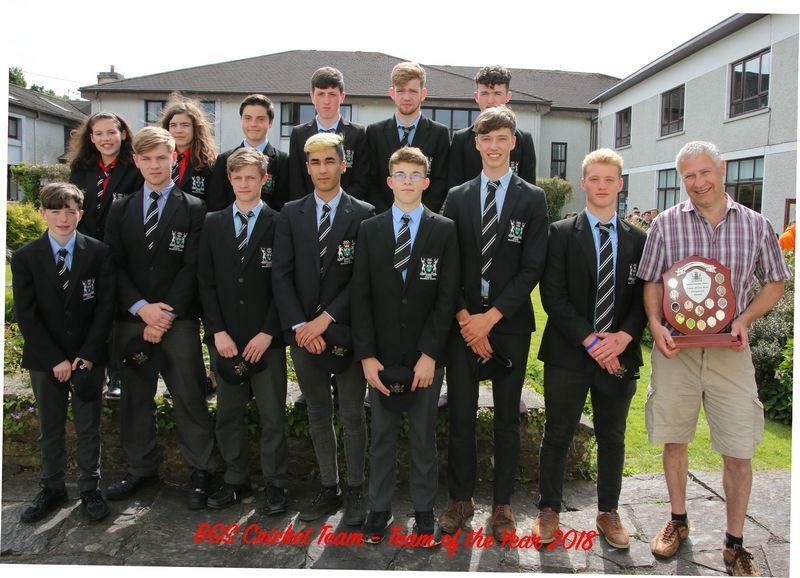 Presentation Brothers College came 1st, Schull Sharks from Schull Community College came 2nd and Christian Brothers College came 3rd. The top 7 teams in Gold make it through to the Nationals, which will be held in Schull over the 4th and 5th of May. We have all decided to get together in April for a day's coaching and pull together our best team of sailors to go head to head with the top teams from Leinster and Connaught in May. 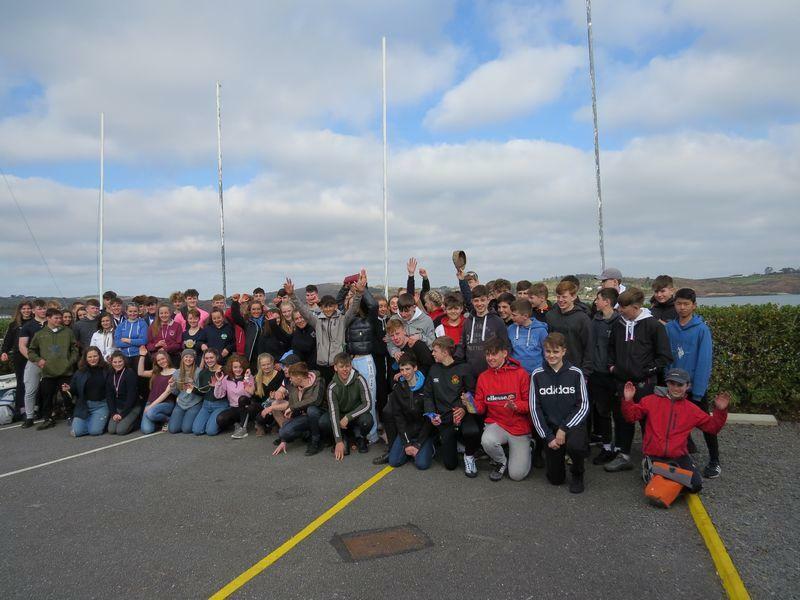 We really want to thank Mr Coombes and Bandon Grammar for supporting us in helping to introduce sailing into the school and we are looking forward to May to compete again. 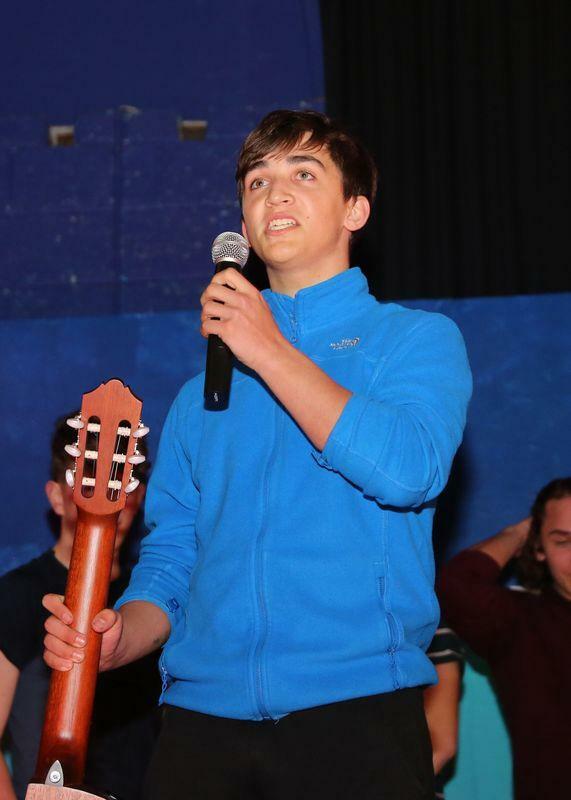 The annual Talent Night took place this week . As usual there was a huge array of performances, from singers to musicians to comedians and much more. 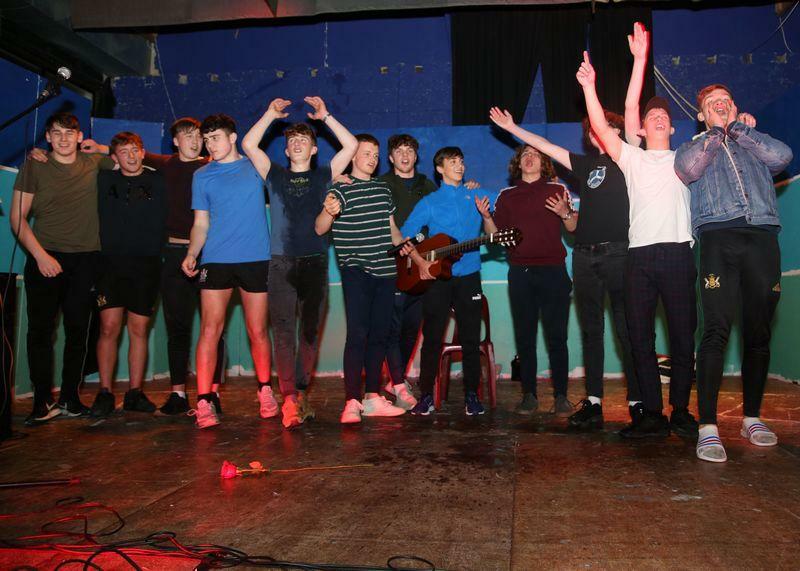 The talent night is one of the most popular events in the school calendar and well done to all those brave enough to perform! 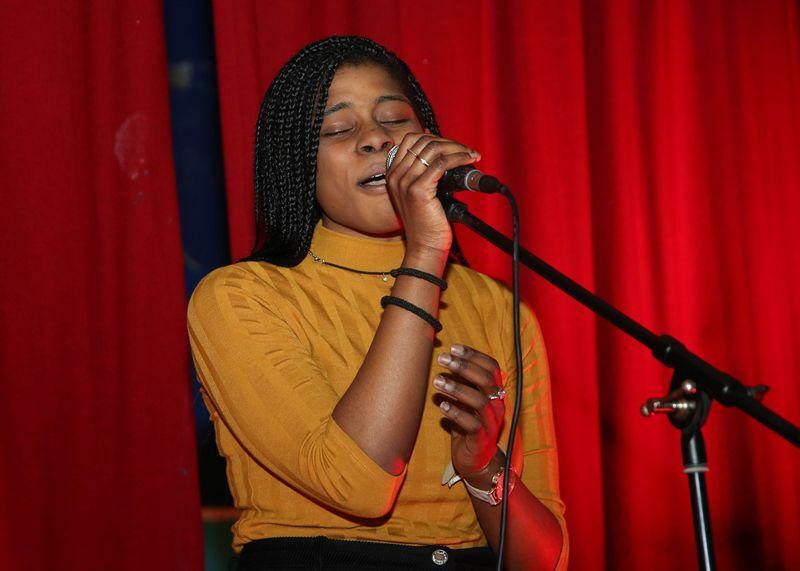 A special mention should also be made for our audience who gave great encouragement to all acts on the night. Of course the night would not happen without the hard work of Mr. Murphy who deserves a special mention for putting the show together. 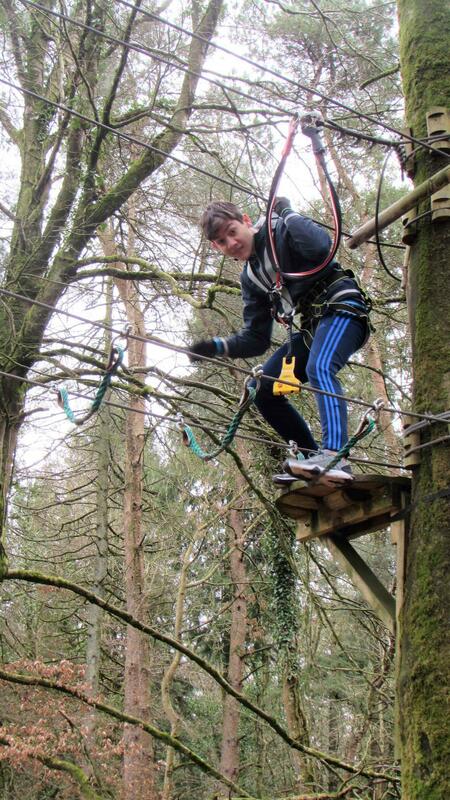 Our boarders recently visited beautiful Farran Woods on an excursion. 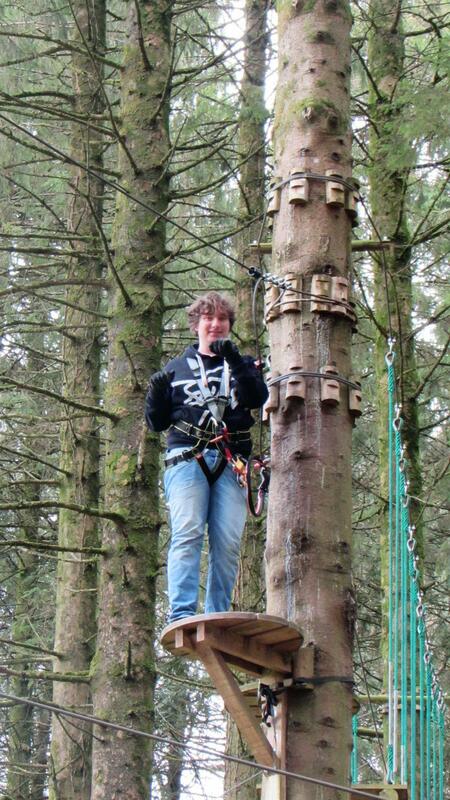 They got to do the Zipit ziplining adventure through the trees and enjoy the spectacular scenery. Well done to Katrin Birk and Aisling Barry on winning first prize in the John Hooper Medal for Statistics. for their project entitled "A Statistical Analysis of the Accuracy of 5-Day Forecasts in Predicting Hot vs Cold Temperatures". Additionally Elspeth McIntosh and Afiric Middleton Murphy placed third with their project "Dyslexia: Learning Difficulty or Hidden Talent?" . A fantastic achievement for the girls in this national competition run by the CSO. The winning entry now goes forward to represent Ireland in International Statistical Literacy Poster competition. 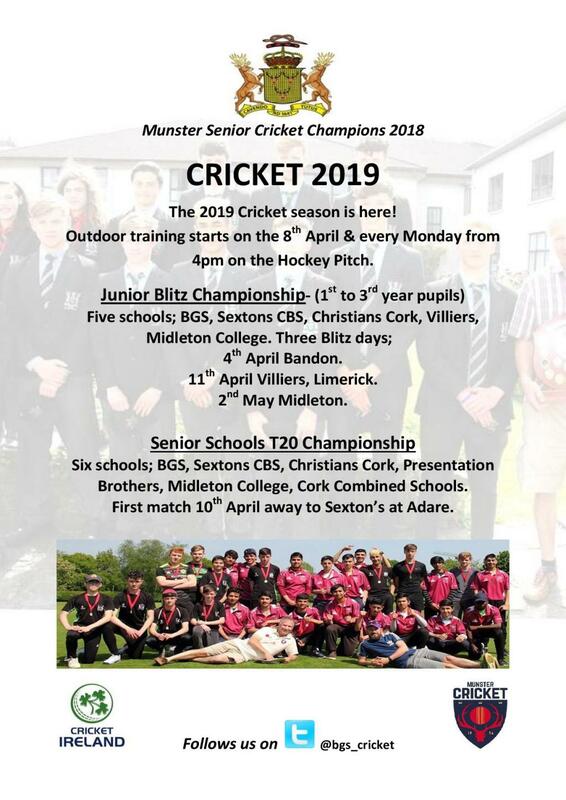 The 2019 Cricket season is here! 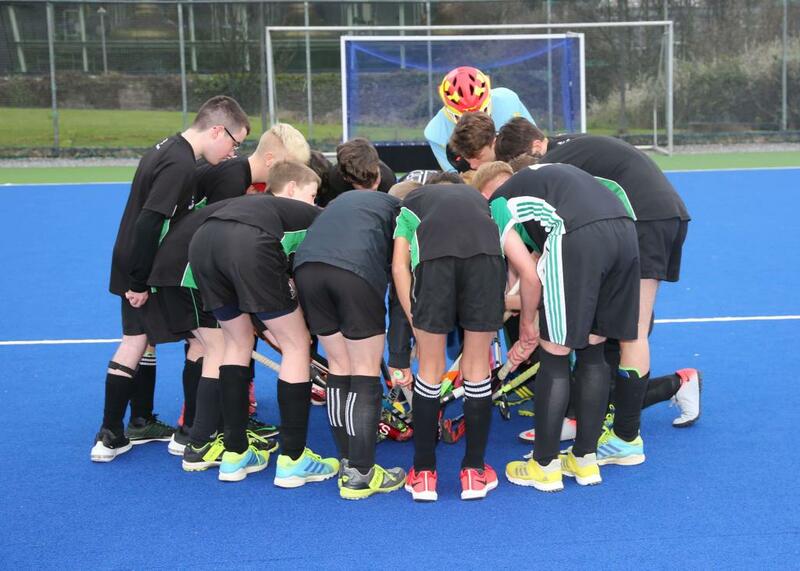 Outdoor training starts on the 8th April & every Monday from 4pm on the Hockey Pitch. 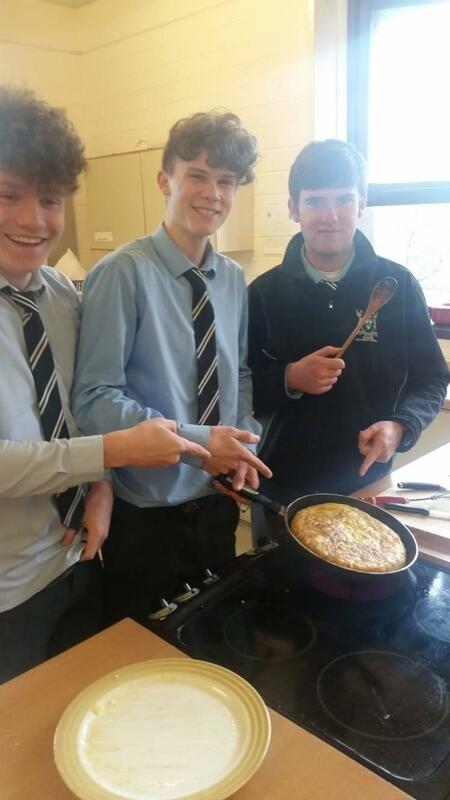 Five schools; BGS, Sextons CBS, Christians Cork, Villiers, Midleton College. 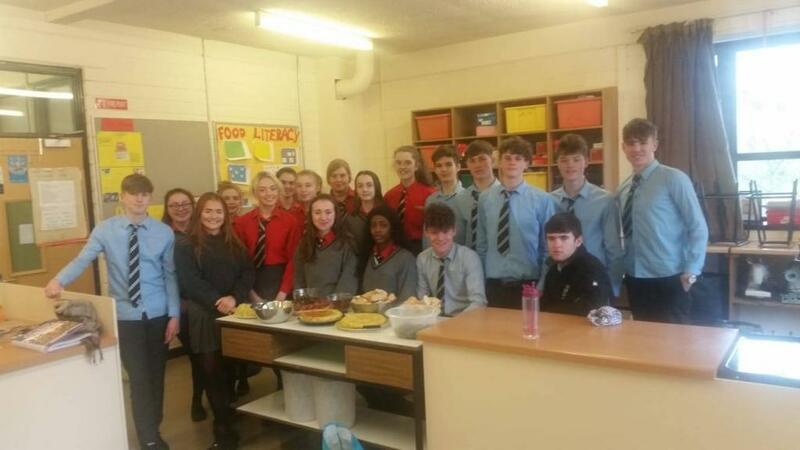 Six schools; BGS, Sextons CBS, Christians Cork, Presentation Brothers, Midleton College, Cork Combined Schools. 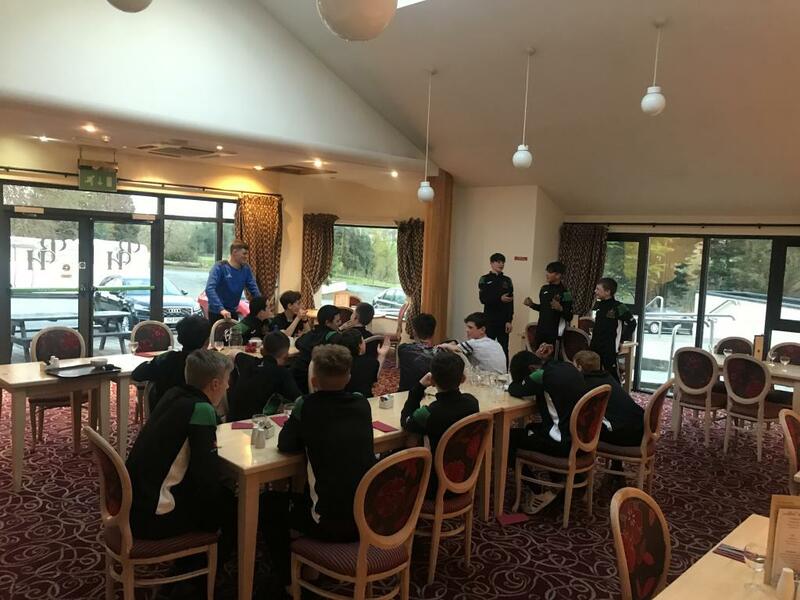 Jnr B boys, captained by Daniel Parker, beat Ashton, 2-1, in the Cup semi final, both goals scored by Kasimir von Klitzing ....They play Midleton in the final next Monday..Good luck boys..
Each class runs weekly until the end of the year and costs €96 in total. Ukuleles and guitars are available from Jeffers Of Bandon, who have kindly agreed to offer a discount to students taking part in the program. 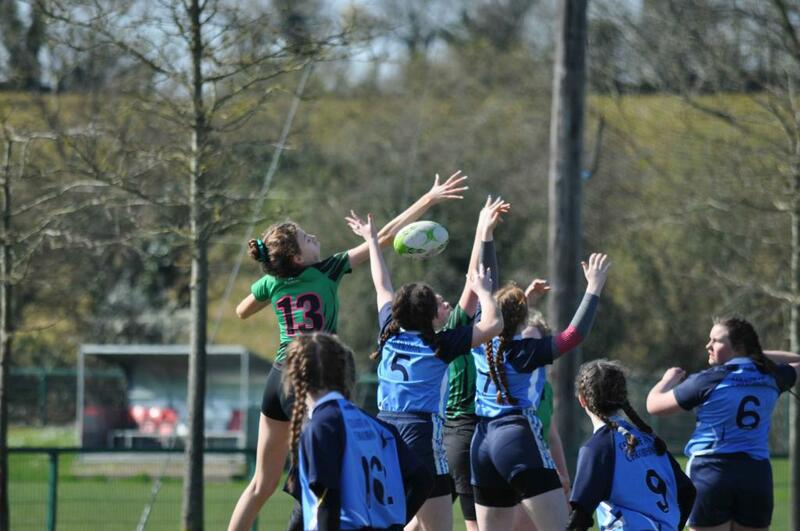 Our girls enjoyed another great day of rugby in CIT today as they took part in a blitz. 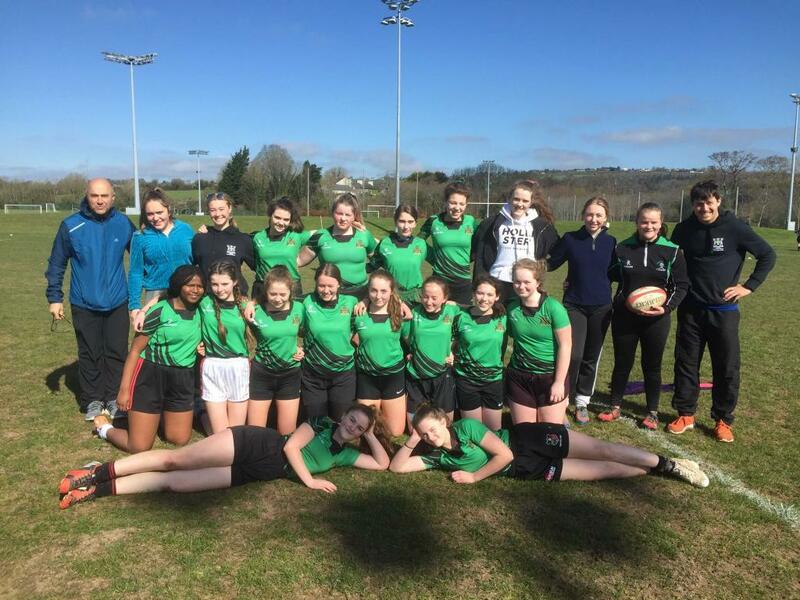 Well done to all the girls and their coach Mr. Rae who had a great day in the sunshine. 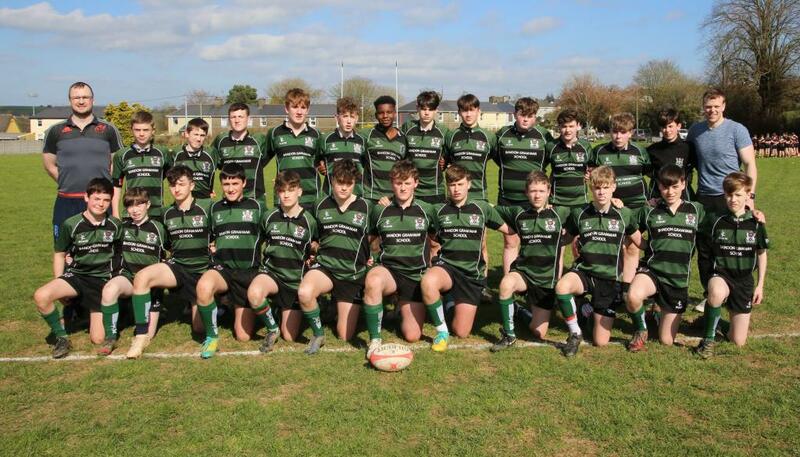 Two games yesterday, McCarthy Cup team beat Ard Scoil Ris 22-0...and The Bowen Shield team beat a touring South African Team 17-10...both matches played in glorious sunshine..
1st Yr A reach Cup Final with a convincing 4-1 win over Newtown in Bandon today. 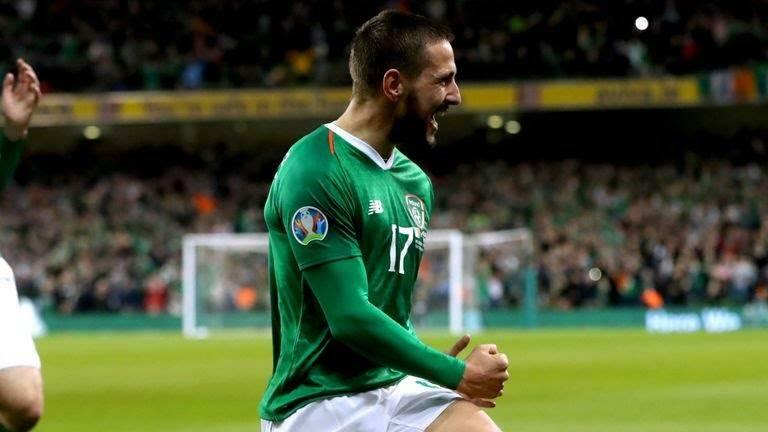 Past pupil Conor Hourihane scored a fantastic free kick for Ireland v Georgia in tonights European Championships qualifier to seal a vital 1-0 victory. Congratulations from all at BGS. Well done to Bandon RFC who won the John 'Doc' O'Driscoll Cup today with an entertaining 32-20 win over Clonakilty. 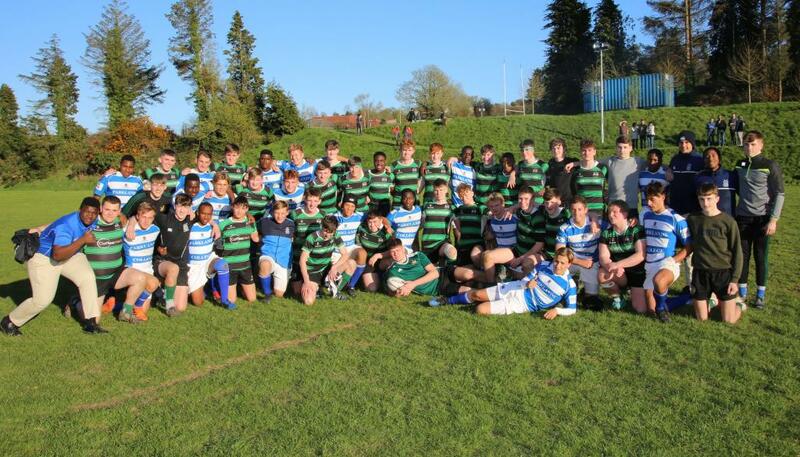 BGS had Josh Brady, Conor Heaney and Ciaran Roberts, who scored a try, all in the squad. The playing staff also included the one and only Mr. Murphy and the team was coached by Andre Human. Commiserations to Mr. Deasy who lined up for Clonakilty. 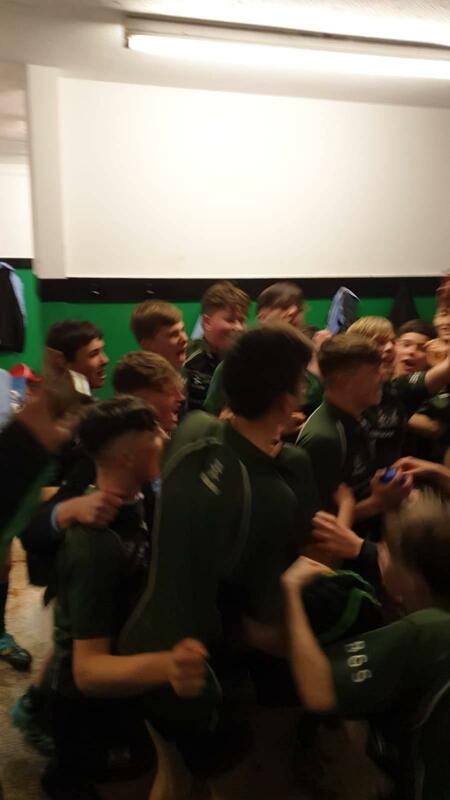 This means Bandon go on to face Mallow in the County Cup Final. In light of the many student who have completed the ECDL, the BGS ICT Dept has enhanced the TY curriculum to enable students to learning more about HTML, CSS and the use of data in ICT. We believe that these courses will help students to learn fundamental skills in vital aspects of ICT and will have a positive impact on their career. On behalf of the ICT Dept. There are free catch up clinics for students still in secondary school. 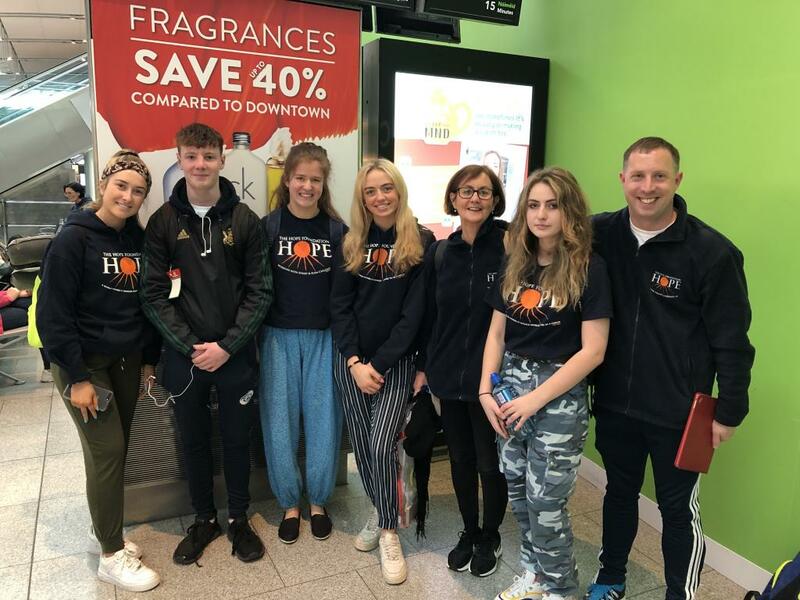 Best wishes to TY students Amy O’Reilly, Katie Boyle, David Hall, Stephanie French, Elspeth McIntosh and leaders Anne Skuse and Will Bartley as they start their one week trip to Kolkata with the Hope Foundation, a charity working with street and slum children. The Junior B girls had a league fixture away to Colaiste Muire Cobh on Thursday. The girls came away with a 2-2 draw with Muirinn Quinn scoring both goals. Focus now turns to their two final league matches to culminate their season. The Junior A girls finished on a high today in their final league game v Villiers. They drew 1-1 in the away leg of the playoff but having won at home previously put them above Villiers in the final standings. 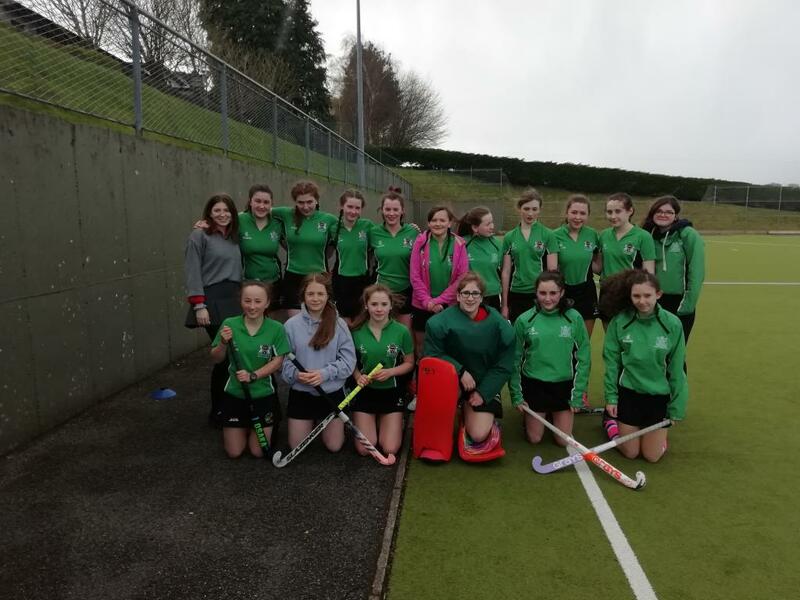 With a team made up of some seniors, minors and juniors there was no opportunity to train together but the girls played some excellent hockey throughout the year. Well done. Past pupil Cassandra Giles, a veterinary nurse, works at Willie Mullins yard in Co.Carlow. she looks after and rides out the horse Eglantine du Seuil that won the mares' novices hurdle race on Thursday. 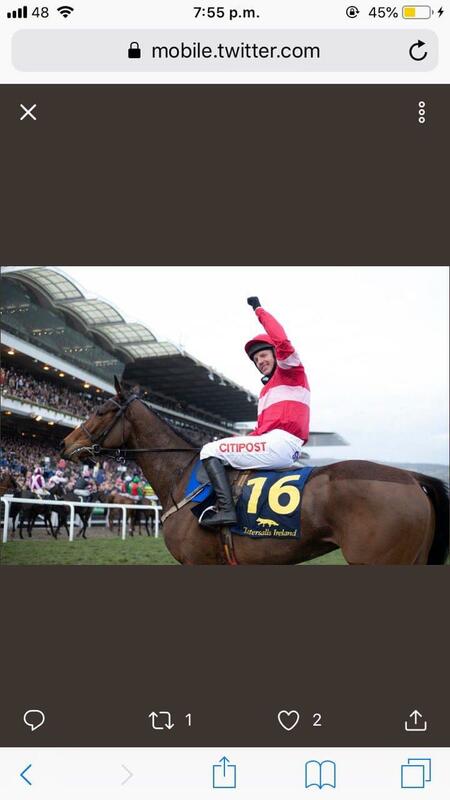 Cass is thrilled to be part of a team to prep a winner at Cheltenham. 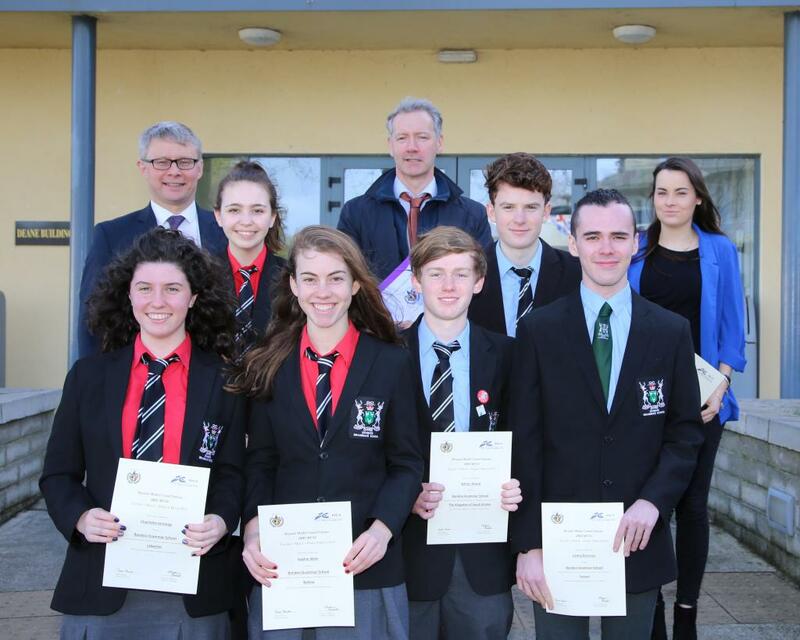 Bandon Grammar picked up two specific awards and succeed in passing a resolution that was adopted by all other countries. In a hotly contested field, schools from Germany, Belgium, Switzerland, and three from Ireland fiercely debated on real contemporary issues including LGBT rights;Health and Human Rights in Refugee camps; Climate change and the Financial development of less economically developed countries. Adrian Wood succeeded in passing a resolution on "Genoicide in Mynamar" while representing the Kingdom of Saudi Arabia. Cathal Brennan, representing Yemen, was awarded best Delegate of the GA1 countries, while Mary Linzel was awarded best Delegate of the GA4 countries while representing Italy. Both students were recognized for their insights and contributions into the respective challenges their countries faced and for offering solutions towards resolutions. 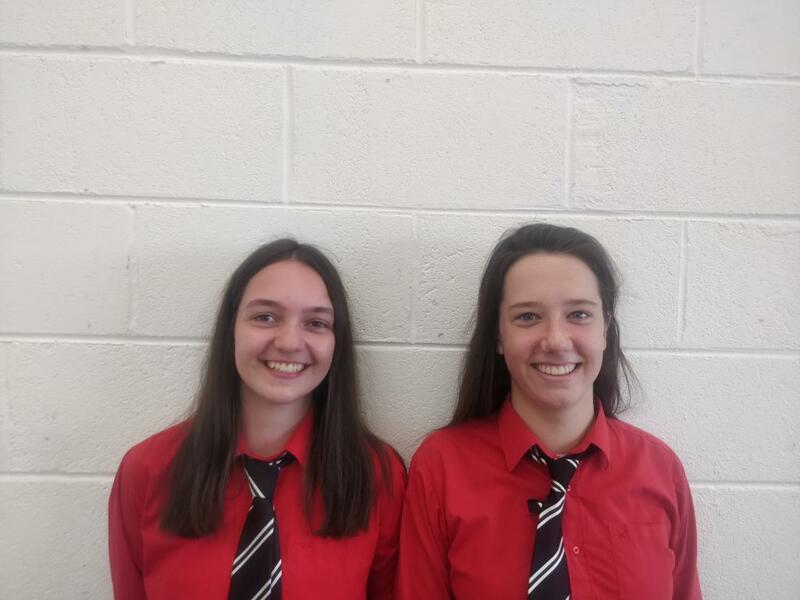 Charlotte Jennings and Sophie Wetz always had an uphill battle while representing Lebanon and Bolivia respectively, but both students contributed to amendments and resolutions. 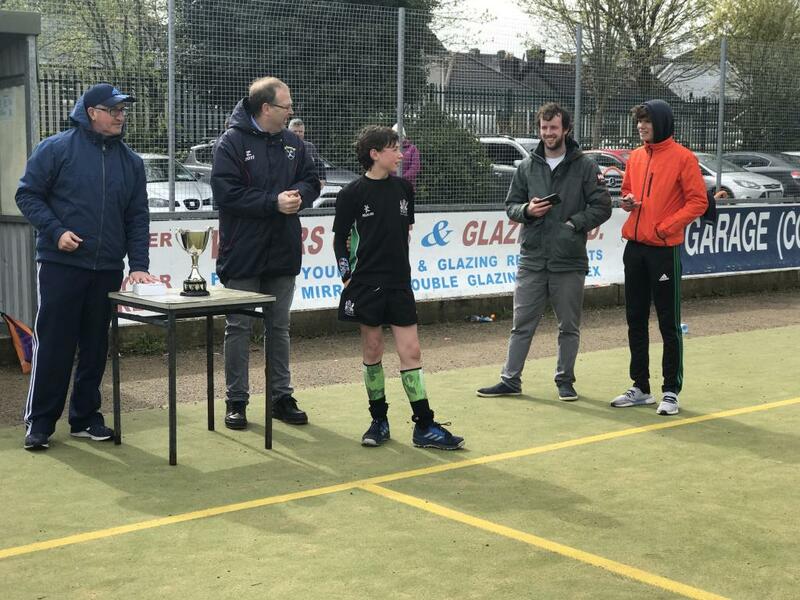 Similarly Oisin Brown was outstanding in his representations on behalf of The Kingdom of Saudi Arabia.A terrific outcome when considering how many of these schools have larger student bodies. A real testament to the hard work of our students! Well done to all. Congratulations to Laura Nicholson on a fantastic performance in placing third at the All Ireland Schools Senior Cross Country this past weekend in Clongowes Wood. Laura Nicholson is on the fast track to the very top. 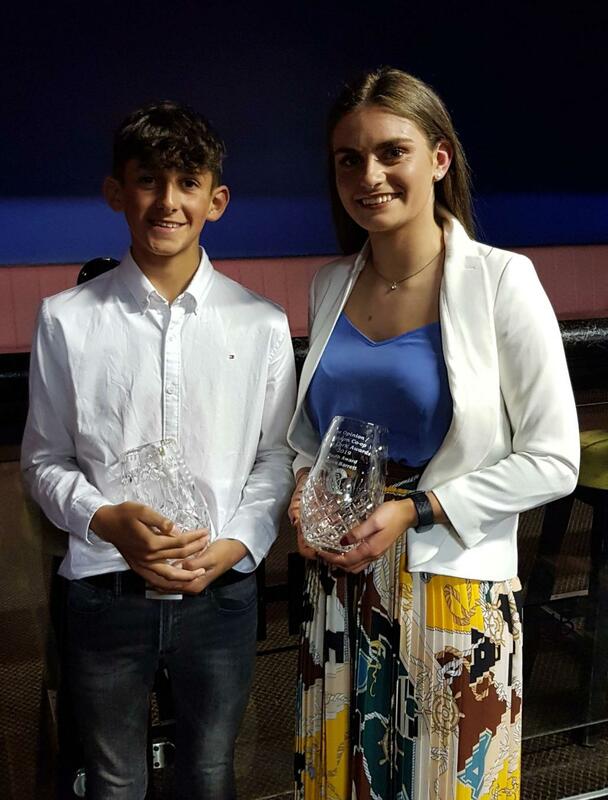 The rising Bandon Athletic Club star was crowned the 2017 West Cork Youth Sports Star of the Year in January in recognition of her exploits in that year – and good news travels fast after Temple University in Philadelphia added Laura to their ranks for the 2019-2020 season. 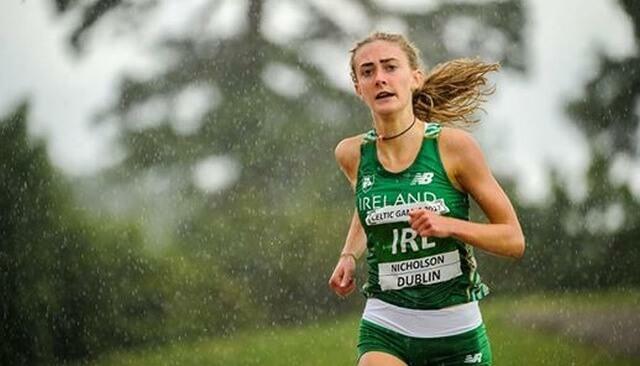 The university’s women’s cross country and track and field programme has captured the Bandon teenager’s signature and she will link up with the Philadelphia outfit next year. It’s further evidence that Laura (18) is destined for great things. ‘We are very excited to have Laura join our programme,’ explained Temple University’s head track and field coach Elvis Forde. ‘Not only is she excellent on the track, but her cross-country pedigree will surely help us continue to develop our programme to the level we want it to be. ‘James (Snyder, head cross-country coach) has done a fantastic job recruiting at the international level to help our programme reach the next tier, and Laura will be a crucial addition next year as we continue to ascend up the ladder both at the conference and NCAA level. 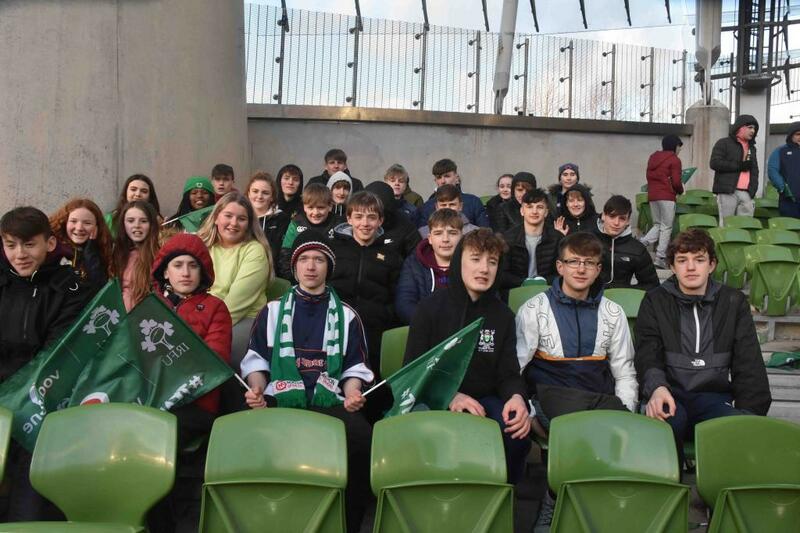 Mr. Bradfield and Mr. C. Collins took a group of Junior students to Ireland v France in the 6 Nations this past weekend. 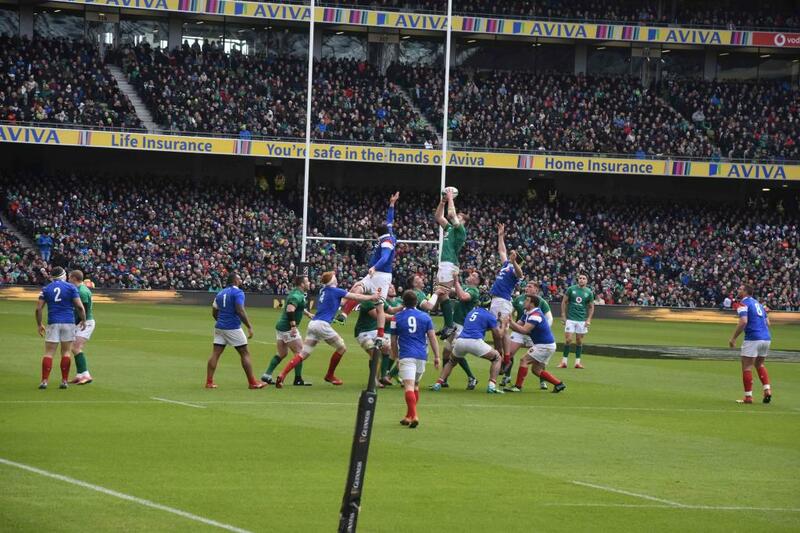 Despite some shocking weather conditions a great time was had by all and they enjoyed a great Irish victory.